If a horse was injured years ago…is there still a chance he can heal? 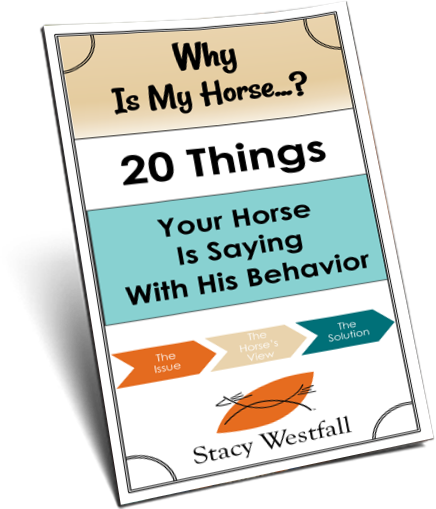 “Hi Stacy, I met this one horse a week ago that a friend of mine has had ever since birth. Six years ago when Vick was two and a half she had a guy training/acquainting Vick with the saddle he (the trainer) got sidetracked!!! He left Vick in the roundpen alone (with all the gear) REALLY. Anyway Vick took it upon himself to dispose of his foreign attachments. Thus getting all tangled up. Ever since his hind left leg in swollen. Horses are my life in a sense. I would like to have your opinion. If there is still a chance for it to heal? And if so what to do??? ?”-Katie S.
I would recommend finding a vet that specializes in lameness. 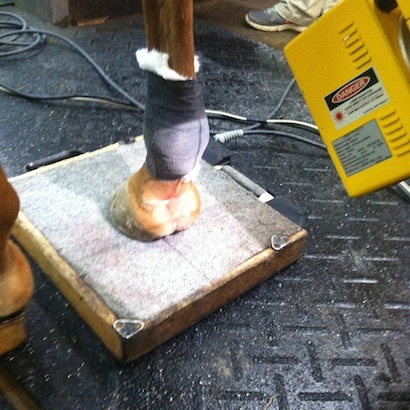 Often vets that deal with performance horses or racehorses (TB or Standardbred) are excellent leg vets. Get a professional opinion. Much like visiting your doctor vs another doctor, opinions can vary so multiple opinions are also valuable. Sometimes even long standing injuries can be treated because the horses don’t naturally fully rest like they need. 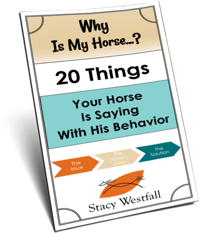 For example, sometimes stall rest can allow something to heal that has not healed in the pasture simply because the horse keeps re-injuring every time he feels better. I am not diagnosing here. I am recommending finding a vet who can take a look and I am saying, yes, there is hope. I don’t know where you are located but I had terrific results and soundness on a 16 y o TB gelding with stifle injury of 9 years duration. I used pectspowell1@aol.com. Or http://www.hoofandpawtherapeutics.com. Amazing results. This is the same person just different contacts. You may contact my email for phone number for them.